vCloud Director uses Network Pools to create programmatically on-demand L2 networking segments for Org VDC and vApp networks. Network pools can be based on VLANs, VXLAN, port groups and legacy (deprecated) vCloud Network isolation (VCDNI) technology. In vCloud Director 9 we have the option to create our own VXLAN network pool backed by a NSX Transport Zone manually created and scoped to clusters we want to (and using any control plane mode). During creation of Provider VDC we then have a choice to create a new VXLAN Network Pool (the legacy behavior) or use an existing one. Control over scope of VXLAN networks – especially useful for sharing Org VDC networks between Org VDCs from different Provider VDCs. So Tom, prior to 9.0 when you create a Pvdc a new transport zone will be created and assigned automatically.Hence communication within the same org using 2 different Pvdcs would require crossing transport zones / ESGs. In 9.0 can we have 2 different Pvdcs on the same transport zone? in other words leverage the DLR for east-west traffic across 2 different Pvdcs? On another note, in my lab I manually created the transport zone from NSX and in VCD 9.0 the option to select the VXLAN network from existing pool list is always greyed out. What am I doing Wrong? Will this function work with vCD9.0 on vSphere 6.0u2? Meaning can we upgrade to 9.0 to get this functionality and then migrate from vCDNI to VXLAN? 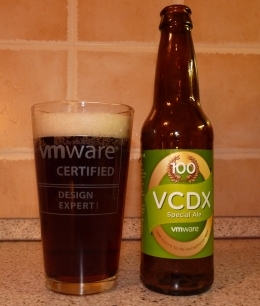 Yes, as long as you are on vSphere 6.0 it should still work in VCD 9.0. Thank you – can you confirm what is the purpose of the gateway in the vCD 9.0 VXLAN network pool creation? When creating VXLAN network pool you are asked for TZ, name and description. That’s it. No gateway. Migrate away from VCDNI and delete the VCDNI network pool. Then you should be able to add 6.5 ESXi hosts.